Is My Case Worth Anything? Get Evaluation, Evidence and Compensation. Personal Injury Lawyers are licensed attorneys who specialize in helping clients seek compensation for injuries suffered in automobile accidents, slips and falls, or a variety of other events which cause harm to a person. The personal injury lawyer is able to take a client's case through the highly technical legal process with the goal of recovering monetary awards which compensate the client for the injuries suffered.  Personal injury lawyers must have the ability to comply with all of the rules of the court which require that all pleadings, motions, and other legal documents are filed accurately and in a timely manner.  The personal injury lawyers must also be able to negotiate with opposing lawyers and their clients, who in personal injury lawsuits will often be insurance companies.  While most personal injury lawsuits will be negotiated and settled outside of trial, a personal injury lawyer must also be able to bring a case to trial and successfully try the case.  Personal injury lawyers most often work on a contingency basis, which means that they will only be paid if they are successful in recovering an award for their client. 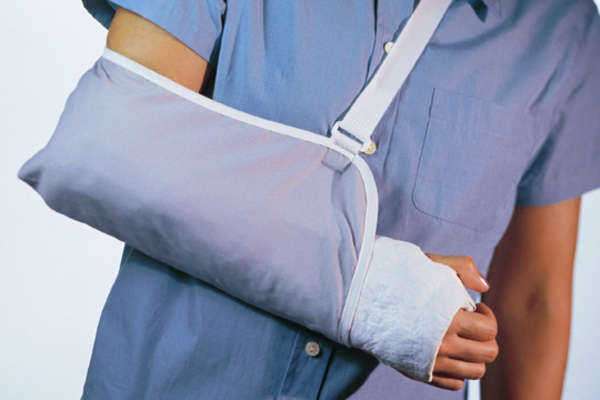 Typically, a personal injury lawyer will be compensated with between 30 to 40% of the award. A personal injury lawyer must achieve an undergraduate college degree, complete three years of law school, must pass an ethics exam (the MBE), and pass the written bar exam of the state in which they are practicing. While any licensed attorney may represent a client in court, a lawyer will typically obtain an expertise in a certain field of the law. Personal injury lawyers focus on injuries to clients resulting from but not limited to: automobile accidents, slips and falls, medical malpractice, intentional assaults and batteries, injuries from using common products, injuries sustained to passengers on ships and airplanes, or any other way in which a person may be physically or emotionally harmed in a wrongful manner. Client interactions are very important to personal injury lawyers as they must work with the people they are representing in order to succesfully bring a personal injury action. Clients are needed to provide all of the relevant information and documents to the personal injury lawyer. Personal injury lawyers must also be able to conduct depositions of witnesses, which is the process of obtaining their testimony to better understand the event which caused the injury in seeking who is at fault and what damages should be rewarded. They must also have the ability to work and communicate with opposing counsel, as each side will have important materials and documents which both are sides entitled to have under the rules of discovery. When proceeding to litigate a case, personal injury lawyers must always consider the financial cost of the case and the realistic award that may be won. Personal injury cases can be extremely costly and time consuming for both the client and the personal injury lawyer.  Paying doctors for their expert opinions.  Searching for and obtaining medical records.  Fees for filing legal documents with the court.  A wide variety of other expenses that can drive the cost of litigating very high. These costs usually result in the two opposing sides negotiating a settlement to avoid going to trial. During these negotiaitons, the personal injury lawyer must consider that the case is to be viewed through the eyes of the jury. Every plaintiff and defendant has a right to bring a personal injury controversy in front of a jury who will determine the outcome of the trial. Often, a settlement will reflect what the two sides think a jury would award. If the two sides cannot come to an agreement, many courts now require that they go through a process of mediation or arbitration to determine fault and what a proper award should be, if any. What steps should the client take during the personal injury process? The first step in bringing a personal injury lawsuit is for the client and the personal injury lawyer to first meet and discuss the basic facts of the situation. This initial intake conference allows the personal injury lawyer to get a first impression of the case and to develop a relationship with the client. Once the personal injury lawyer has all of the basic facts and develops an understanding of the case, the personal injury lawyer will determine whether to take the case based on the chances of success in light of potential costs and chance of losing the case. If the personal injury lawyer accepts the case, the lawyer will contact the defendant to inform them of the case and then file a complaint with the appropriate court. Once the complaint is filed, numerous motions and counter motions will be made by both sides to try to best position the case for negotiating a settlement or bringing the case all the way to trial. A specific time will be given for each side to request and exchange evidence in order to allow both sides an equal opportunty to put their best case forward. Finally, if a settlement cannot be made between the parties, the case moves to trial, which requires that all disputed facts be put in front of a jury or a judge to determine the fault and damages that should be awarded. This entire process can take years to accomplish. When selecting a personal injury lawyer, it is important to ensure that the lawyer you choose is licensed in the state where the lawsuit will be brought and that the lawyer has experience in representing clients in personal injury lawsuits. While any lawyer may represent you in a personal injury matter, it is important to find a personal injury lawyer who has had experience trying cases in the location where the lawsuit is filed. Personal injury lawyers will often have relationships with the local court employees, other local lawyers, and will have the knowledge the best strategy for bringing a succesful lawsuit. Local rules and customs can vary from different regions, counties, or even from judge to judge. How to select a personal injury claims lawyer. A personal injury claims lawyer represents clients who have been wrongfull injured by another party and is seeking compensation for the physical and emotional damages that has resulted from the injuries. A personal injury claim lawyer will file all of the necessary legal documents with the court, negotiate with the opposing side, and will conduct all the necessary work to succesfully go to trial. When selecting a personal injury law lawyer it is important to consider the following points. - Make sure the personal injury lawyer attorney is licensed and in good ethical standing in the state that the lawsuit will be filed. - Look for an experienced personal injury law lawyer. Lawyers for personal injury typically specialize in certain geopgrahic areas as they become familiar with local rules and customs of each court and judge. - When you meet with a personal injury claim lawyer, have all the important information about the case ready and be prepared to discuss them. - Listen to what the personal injury law lawyer has to say about your case. A personal injury claims lawyer will not be emotionally invested in the case like an indivudal who has been injured may be and can provide an unbiased opinion about the chances of success. - However, do not be frustrated if the first personal injury claim lawyer decides to not take your case. Different lawyers for personal injury may see each case differently. Take your case to several lawyers for personal injury before giving up. A lawyer with personal injury experience is providing a service for the client and the client should select a personal injury claim lawyer that the client feels comfortable. Ask detailed questions of your selected personal injury law lawyer to make sure you are satisified with him or her. Do not allow a personal injury lawyer attorney to conduct the case in a way you do not feel comfortable or approve. What do mesothelioma personal injury lawyers do? Mesothelioma is a rare cancer most often associated with exposure to products which contain asbestos. Those suffering from mesothelioma have symptoms of shortness of breath and chest pain. A major issue that mesothelioma personal injury lawyers face is the fact that development of the cancer may not occur until years after the exposure to abestos. Mesothelioma personal injury lawyers specialize in recovering awards for individuals who have been exposed to products which have caused them to develop mesothelioma. Mesothelioma personal injury lawyers often use class action lawsuits in order to recover damages from defendants who knowingly exposed employees and other individuals to abestos. Because of the large number of people exposed to abestos, mesothelioma personal injury lawyers use class action lawsuits as a strategy for bringing all of these individual cases into one large case in order to lower the costs of litigation and to achieve a more streamlined resolution. How to find a personal injury lawyer. In order to find a personal injury lawyer, a client must seek a personal injury lawyer to represent their case. Lawyers are prohibited by ethical rules from actively searching for new clients so it is up to the client to find personal injury lawyer. But if you are injured, where can you find a personal injury lawyer?  One of the best ways to find personal injury lawyers is to ask family and friends if they would recommend one. Often the people that we know have had to find a personal injury lawyer for their own case and they can best recommend or not recoomend certain lawyers.  Find personal injury lawyer listings on the internet. The internet can provide a wealth of knowledge on personal injury lawyers and all of this information is readily available.  Contact a lawyer referallservice. Many states have referal services that can find personal injury lawyers where the lawsuit will be filed or that specialize in a particular area of the law.  Finally, once you find a personal injury lawyer, meet with them in order to develop a relationship and trust with the lawyer. Where is the best place for personal injury lawyer advertising? Personal injury lawyer marketing has become an extremely important necessity for generating business for personal injury attorneys. While the best form of personal injury lawyer marketing is to build your reputation in the community, sometimes a lawyer needs to reach segments outside of the community.  The interent holds an incredible amount of potential. Personal injury lawyer advertising on the internet has become very important in modern society, as it provides visibility to potential clients on a global scale and in greater detail than any other form of media. While this vast rescource is available, it also can be a catch-22 for personal injury lawyer marketing as potential clients can be overwhelmed by information overload.  Traditional forms of personal injury lawyer marketing should also be used to reach segments of the community who do not use the internet or other modern devices. The yellow pages, mailers, and broadcast media can provide exposure to potential clients.  Do not be afraid to try non-traditional personal injury lawyer marketing techniques. Who are the top personal injury lawyers? In terms of awarded compensation and punitive damages, attorneys who have been getting judgments and settlements from tobacco litigation have recently become the top personal injury lawyers in terms of earnings. Big tobacco litigation has netted the top personal injury lawyer millions of dollars in fees. Other top personal injury lawyers earnings have been won for injuries by workers against negligent and intentionally negligent employers, medical malpractice by doctors, and severe motor vehicle accidents. If you have been injured and it is not your fault, you need to seek out personal injury lawyers who will defend you and make sure that you have your medical bills covered as well as any loss that you received from not working. The personal injury lawyer should not charge you for talking to you and most of them will review your case based upon what you tell them on the phone. The personal injury lawyers will usually take a case based upon the amount of money that the client can get from the suit. They will also take a look at the insurance of the person or company that caused the injury to see if they are properly insured so that the lawsuit will net money for the client. There are many variables that have to be discussed with the personal injury lawyer before he or she decides to take a case.